CB became big with books. Very big! 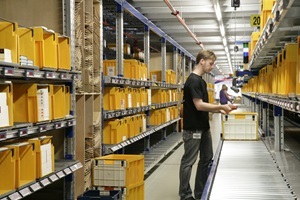 In Culemborg, the logistics provider has a huge complex with several, often highly automated warehouses, mostly filled with books and other media. Virtually every book bought in a bookstore or on the internet in the Netherlands comes from Culemborg. Because sales of books are under pressure, CB decided back in 2012, in addition to media to focus two other target markets: fashion and healthcare. By the end of 2015, 30 percent of sales should come from these two markets. “We have a fantastic logistical infrastructure, including two sorting systems and separate operations for fast movers and slow movers. We would like to continue to use this infrastructure as much as possible in the future. 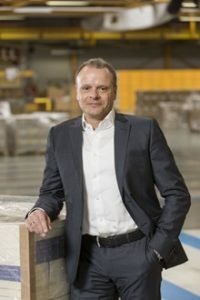 Fashion and healthcare products are well suited for this system,” says Cees Pronk, operations director of CB. The diversification strategy requires CB to invest in a new warehouse management system (WMS). In Culemborg, several commercial and proprietary systems are already up and running, but lack the specific features needed for fashion and healthcare. For healthcare, for example, a WMS is needed that can register batch numbers and expiration dates and that can place items in virtual quarantine until released by the quality control. For fashion, support of garment sizes is a key requirement, as well as the management of distribution processes. “A characteristic of the fashion industry is that sixty percent of incoming garments are shipped directly to the stores. For this purpose, we use distribution grids so that each garment article can be directly distributed to the stores,” Pronk explains. CB has implemented Astro WMS in the warehouse for educational books. The warehouse stocks 17,000 titles that are picked with barcode scanning, with the orders being put together on the shipping floor. An order can sometimes involve a lot of different articles with large volumes. 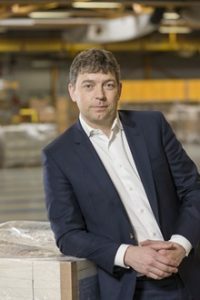 “If we require a single item with a volume more than 150 litres, it is more efficient to take the entire pallet out of the warehouse to the shipping floor to count the correct number of books and put them directly on the shipping pallet. Astro WMS automatically does the necessary calculations and gives the operator the appropriate instructions,” Janssen says. Astro WMS worked efficiently without any problems from day one. The system is highly intuitive, so that the employees concerned knew how everything worked within one day according to CB. “The implementation skills of the WMS provider were an important selection criterion, and they have indeed proved to be excellent. The Consafe Logistics approach is permeated with quality and thoroughness. The fact that we did not encounter any unpleasant surprising during implementation is telling. The system performs well and is extremely stable,” says Janssen. The complexity of CB’s operation lies in the great diversity of product flows passing through the Culemborg infrastructure. In the warehouses for fast movers and slow movers the media products will eventually also be joined fashion and healthcare products. Not only large orders for stores but also small internet orders must be picked from these warehouses. “These flows will run in parallel. It is conceivable that we will create common batches in which we pick garments, books and medical devices at the same time. At the end of the process, the different flows must be reconsolidated. “Astro WMS plays a crucial role in this,” says Pronk. Astro WMS is to be fully integrated with CB’s proprietary order management system. This not only enables the logistics provider to distribute orders smartly and efficiently over the operation, but also to provide information and financial services. “We do it for all media. We manage the master data, we provide management and market information such as the sale of titles by channel and region, we send out invoices and we even assume the payment collection risk of the publishers. Such services are also attractive for other markets,” Janssen says.